Evergreen perennial. 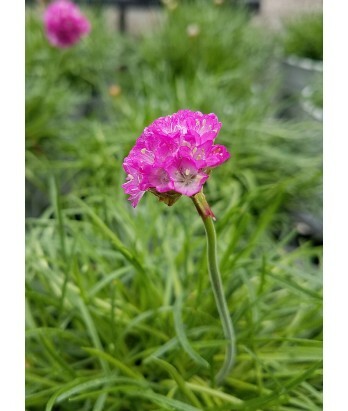 Soft mound of lush, bright green grass-like foliage is topped by bright pink, round flowers on slender stems. Blooms spring through fall especially if dead-headed. Deer resistant. Light to moderate water needs once established. Adaptable to various soil conditions if not soggy. Hardy to 0°F.